Long Haired Lovelies, The Trilogy!!!! 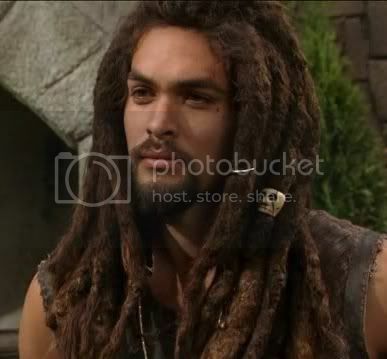 Ronon Dex! 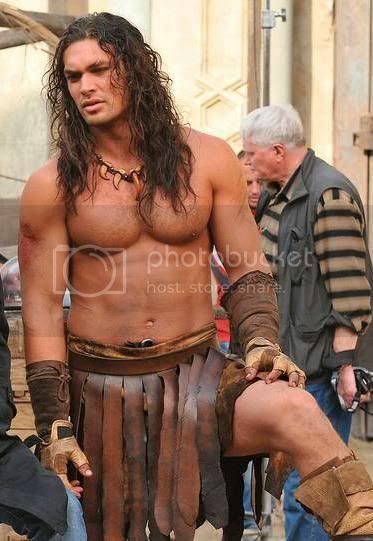 I swear he's got long hair, but for some strange reason I a little distracted *G*...hang on I'll try again. I...errr...errrmmm hang on I had a witty comment...no all I can think is thigh!!!!!!!! And ooohh look at at that chest! Well hello Jason! You are a credit to the family tree. Now as I stagger slowly away, who else is there? Let me see it seems we have a new muse in town! Leonardo Da Vinci, now there's a man who could paint me. I'd even let him apply two coats! If the artistic type is not your thing how about this bevy of beauties? Finally I have found a newbie! A man I have yet to see up close and personal, but based on this all I'm gonna say is Och Aye the noo! From various sources, I've been very reliably informed that this is Jamie from the show Outlander! Ok who do I have to harass to get this show over here in the UK, because damn that man can wear a kilt. Then my work here is done! And yes Jensen's eyes are such a lovely shade of green in this shot. Time to get out the paper bag. Wow! It does cause a certain amount of breathlessness doesn't it? Oh dear, I do hope you're feeling better now! But it does have that affect doesn't it? I've been glued to the TV every Thursday to watch Outlander and watched it again when it repeats. You need to find a pic of him with no shirt. He has a body to die for. His name is Sam Heughan and he is well cast as Jamie. We even saw him almost naked last night. YAY! You read my mind re Drago. He was tamed by the lovely Kaleesi but he was tragically killed off far too soon. Off to look for more Sam. I've got everything crossed that we get the show here in the UK, if not I'll just have to wait for the DVD. Thank you for the link, Sam is rather fetching isn't he? Poor Drago, I still miss him, i just wish he hadn't been killed so soon.